First off, great job on the tutorial! I’m really enjoying the process of making my first emulator! I’m a CS major, and I don’t have a lot of engineering, low-level background. I’m following your guide using the Java programming language. I’m a little bit confused on something in the tutorial thus far. 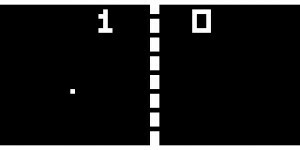 In the ‘Fetch Opcode’ section of the tutorial, you use a shift to left of 8 bits to add 8 zeroes to the end of the number. However, in every article on bitwise operations I can find, shifts didn’t add more digits onto the end of a number, they simply move their position. I did some experimenting and found that shifts do indeed add digits to the end, but I’m still confused on why exactly the shift is adding more digits. Glad to hear you have a Java emulator coming along! About your question, let me try to explain what is happening there. You will have to remember that each opcode is 2 bytes long and that we use the data type unsigned short to store this value. Since we store all our data as bytes in the memory, this means we need to find a way to convert two separate bytes into unsigned shorts (2 bytes long) to get the full opcode. The first step is to retrieve the first byte from the memory and store it in an unsigned short (0xA2 -> 0x00A2). The 0x00 part is just holding 8 bits with the value of zero. Now if we are going to shift bits in an unsigned short, the total number of bits we are managing is always 16. You cannot add or remove any bits. When you are shifting an unsigned short one step to the left, it means that each bit gets moved one place to the left. During this step, the 1st bit will be assigned with the value of the 2nd bit. The original value of the 1st bit however is lost. The 16th bit does not have a neighboring bit on the right side. Therefor this bit will always be assigned the value zero. Now if we shift to the right side, the opposite happens. The 1st bit will be assigned zero (no left neighbor!) and the 16th bit will be assigned with the original value of the 15th bit. The value of the 16th bit is lost. Thanks for the explanation on that. That really helped out a lot. I have another question for you. Java doesn’t support unsigned types, and I’ve already encountered a few problems with that. I’ve since changed the data type for my opcode variable to an int. The only other thing I can think of that might be a problem in the future is my I (index) register. Does that value ever get bigger than plus or minus 32768 (or 0x8000)? NOTE: That number is the max value for the Java short data type. Actually I was having the same issues when I was porting my Chip8 emu to Android (Java). I’m not sure how I solved it (or if I even solved it at all). I’m writing some 14 months after this post so I imagine you’ve got it sussed by now. But for others wo may stumble here: Use char datatype as it’s the only unsigned type and is 16bits. However for printing to sys.out…etc it has to be cast as an int or short otherwise the unicode character will be printed out. I was banging my head for a while about this and found the answer in Java Puzzlers by J Bloch. Thanks for your feedback Carlos! I’m sure this will help out other Java developers as well. Hello Laurence, I’m from Colombia, I’ve been waiting for this tutorial a long time, I’m very happy to find this, and it’s very good explained, thank you for this. Well you’re correct that SMB3 was available for the NES, but I think I was using Super Mario Allstars on the SNES! I did used NESticle for duck hunt :P! Do i need to use opengl to draw on screen,or how else i could do it? This code will set pixels and thats it but it does not set them properly how can i fix this? Hi Daniel, in your “D” opcode, a few things are missing. You need to reset V[F] to zero and set it when screen pixels are flipped. Also, your code doesn’t seem to copy data from the memory? Hi, could someone please explain the above line? The 64 isn’t exactly obvious to me. Why do we need it there? I get that we’re trying to access our gfx array which represents our screen (2048 pixels?) but this statement isn’t making a lot of intuitive sense to me. Any help would be greatly appreciated. Oh and thank you for this wonderful tutorial! Yeah pretty much here as well, not sure I quite get the 64 meself. Could you explain what kind of help you need? Hey Laurence. First off thanks for the great tutorial. I had a couple questions. I’m not new to programming but I am still a beginner (about 9 months of experience). I was wondering if you could elaborate on two things I’ve never done before: 1. How to read in the game files using fopen and 2. How to use one of the 3rd party libraries to handle the graphics. I realize the second one is asking a very big question, so perhaps just a link to a good and relevant tutorial would be nice. Good work and thanks in advance! Well, thank you for replying. I want to first finish my cpu core. 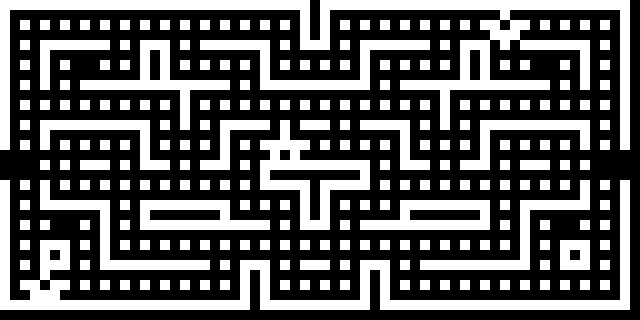 I wanted some pixels drawing, I saw your code snippet, but all I saw was a white screen, and later black. But I think I have to finish the emu core first, right? Its probably best to first implement all cpu instructions and see if your core can run properly (make it output all commands to the screen for example to see if it ends up in a deadlock). After that you can work on the drawing part (0xD000 instruction) which you can do by writing an array to a texture. then the last post by me shows a problem, it has my source attached. Thanks. I have been coding this in java to and so far have been using signed shorts for the opcodes. Will it still work even if it is signed? I would personally create my own class to represent the necessary amount of bits. Using a signed short could be perfect in almost all cases, but it has to be perfect in ALL of them. Imagine something like overflow being intentional in the original game, the signed short give different behavior. Thanks alot I appreciate it oh and your BeatNode app looks pretty cool when I get some money I’m going to buy it! Hey, I get unkown opcode 0xf090 and 0xf020, What should i do? SOrry, problem was with CPU core. That’s great, “Crckr Hckr”. Don’t stop here though, see what other emulators you can write. Perhaps the Master System, or maybe the NES would be an interesting project for you to take on? Would 0x00FF work for NN? Does NN have a specific place it should be stored at? 00FB* Scroll display 4 pixels right. When it says “Scroll display 4 pixels right” does it mean shift the pixel in that direction by that amount without concerning the 4 pixels (now out of the screen) from the right, or does it mean to shift the screen right and the last 4 pixels to the right will now appear to the left? I did a nearly line by line port to C# that runs the interpreter in a Windows Forms app. It’a running a little slow but I haven’t looked into any optimization and I believe that the multitude of type casting I’m doing on tick. It was great fun, thanks for the inspiration and the heavy lifting. Thanks for porting it to C#, i’ve tried it out and it works great. i will learn lot’s from it. What do you mean by “Computer Systems”? Hey there, thanks for the awesome tutorial! After implementing all of the opcodes in C++ (that took a while! ), it works fine! Optimized it a bit so it runs at full speed now, and instead of setting the redraw flag on the sprite draw opcode, I moved it to the 0x1NNN return opcode instead. 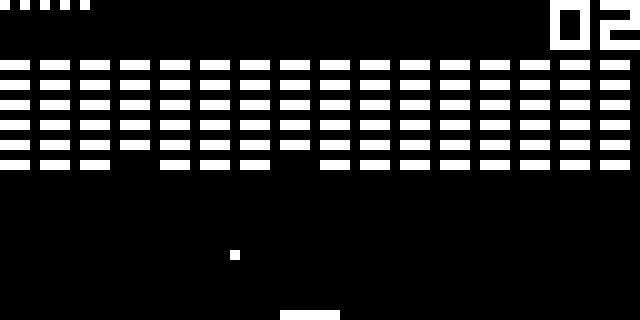 It doesn’t “blink” anymore, obviously my gfx code wasn’t upto scratch, but it works fine: created my own little assembly game and ran it, played breakout, blinky…. Now its time to move onto NES emulation! Glad this guide could help you on your emulation journey. Good luck on your NES emulator! Hi James, thanks for this post, it is elaborately written and helps newbies and experienced developers just starting with emulation alike! 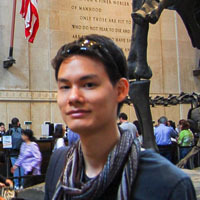 One question I have is in regards to C++ templates and meta-programming. I have heard that op-codes can be generalized with templates and that it is a very elegant solution, but something that I would imagine requires a good amount of previous exposure to meta-programming and templates. I personally have a decent amount of C++ development under my belt, but the one area of C++ I haven’t used much is templates. Would you please recommend a way to accomplish this via pointing me in the right direction or showing a code sample that will help me get started? I just wanted to share with you the solution to the BCD assignment for opcode FX33. If one doesn’t know how to use the modulus operator or if for instance it simply didn’t exist. Simple arithmetic basically. I’m substituting the variable names for memory[i] etc. for the names: hunds, tens, ones. I do concede that it’s not quite as elegant as TJA’s solution. Thanks for the tutorial. It is very informative. I’m slightly confused about the skip if (not) equal instructions. Skip next instruction if Vx = kk. The interpreter compares register Vx to kk, and if they are equal, increments the program counter by 2. The question that I have is shouldn’t it increment the program counter by 4 instead of by 2 since opcodes are 2 bytes and each program counter value corresponds to an single byte. If I increment the program counter by 2, then I will simply execute the next instruction, but If I increment it by 4 then I will skip the next instruction and execute the one that is needed. I’m think I’m going to give a C# implementation a whirl, should be fun. Anyways, I also wanted to let you know that your compiled example isn’t working correctly on Win7 x64, it does run, but, the games are all messed up, unless of course that’s what they’re supposed to be like? In pong, the board\paddles\etc, are drawn fine, but, you see the cpu playing at lighting speeds, it looks like several balls are moving around, or one is moving really fast. 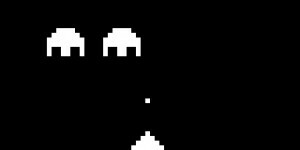 Tetris was just a big blob of pixels, like an “I” made of pixels, with some jittery non-sense happening at the top of the tower of pixels.. But I tested the binary you made available and it’s extremely fast. All games start and end (I die) in less than a second. It’s Win XP 32bits and the CPU is a core i5. Thank you for this EXCELLENT tutorial.. I hope you are still alive. Thank you very much, and by the way I found your article very interesting ! Hello, very cool tutorial, I have a question related to hexadecimals values. For example, the 0x0000 to 0xffff mask range. Where we get these values from? Hi! 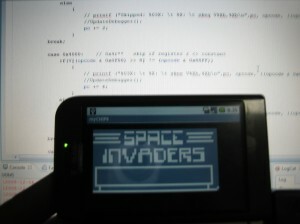 This tutorial was great and I used it to start on my first Chip-8 emulator. 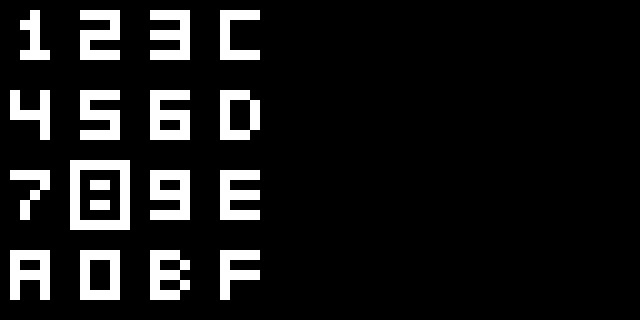 I’m currently working on a full alphabetic implementation of the fontset (0-9, A-Z) but not done yet. I might be able to finish around tomorrow. Alphanumeric is about 0xB4 (probably missed some calculations) but all in all it fits quite snugly. Hi Laurence, thanks for this awesome article. I am in the process of making chip8 emulator in Java. I am making use of Java2d in place of OpenGL. I am getting some output, I think the that the game is moving too fast and so I am not able to make in sense out of the output. I am not sure about how much delay I should add after each render. I have a question regarding the fontset location in memory. Why is the fontset written in memory from 0x00 to 0x50, and not from 0x50 to 0xA0? I searched the web and found that 0x50 to 0xA0 is the space for built-in fontset. Both implementations seem to work since the memory space up to 0x200 is unused in the interpreter. It is easily fixable, what matters is that CPU instruction FX29 reads from the correct location. Otherwise this guide was very good. I had a lot of fun with this little project. 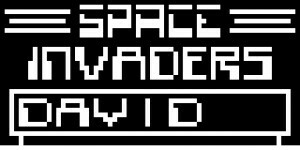 frižider – Space invaders, pong? Go straight to the DOCs. Do not pass GO. Do not collect $200!